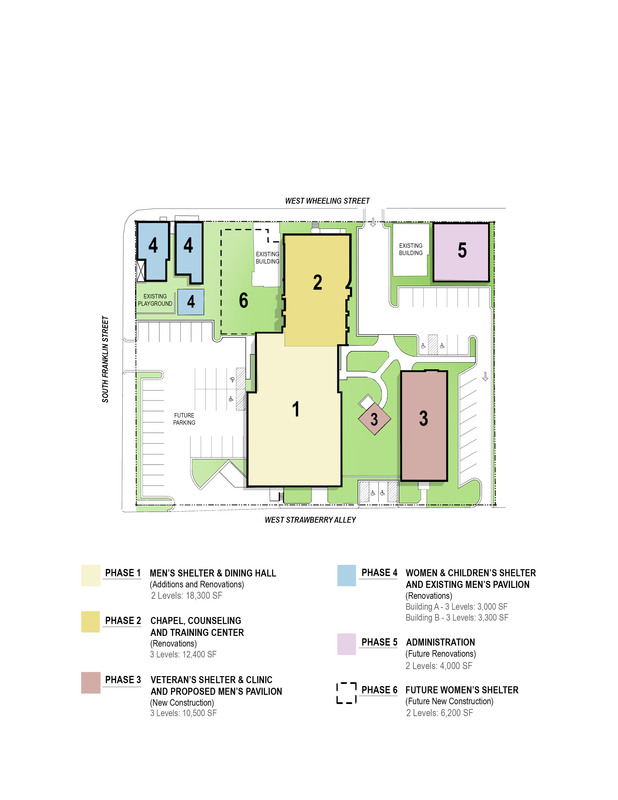 RSSC was hired to develop a master plan for the City Mission’s campus in Washington, Pennsylvania, which involved a complete study of the current uses of all buildings and the site. As the design process and fundraising were underway to implement the first phase of this master plan, a devastating kitchen fire, unrelated to our work, broke out in the main chapel building where more than 60 men were living. This emergency forced us to reevaluate the phasing of the master plan to identify buildings that could be quickly renovated while the displaced men were temporarily accommodated in trailers. 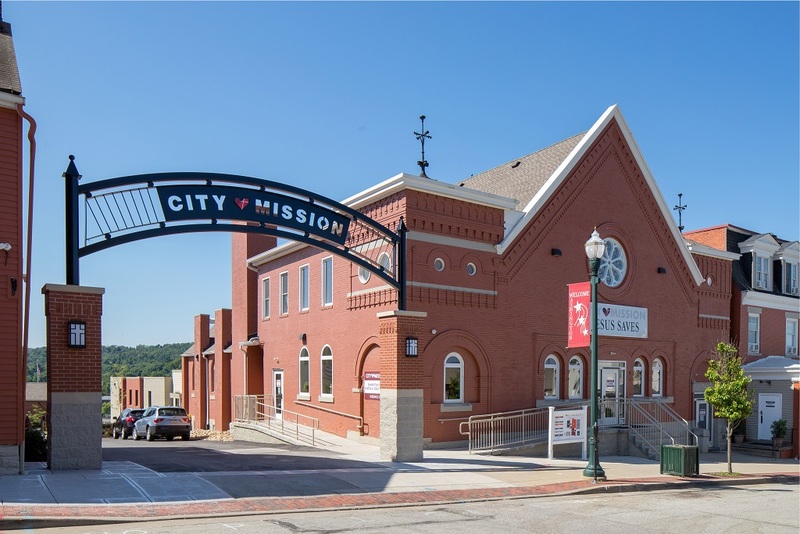 Committed to our client, we wanted to help them rebuild and continue to provide their important and often life changing services, so we assisted the City Mission with the necessary paperwork to apply for a Federal Home Loan Bank grant. With our assistance and the help of others, City Mission received a $1.5 million grant to assist with their rebuilding process. 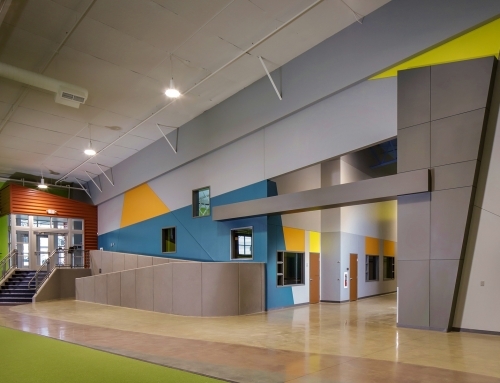 During the design and construction phases for the men’s shelter and chapel, we addressed many deficient and deteriorated conditions in the buildings. Most spaces required total demolition down to base structure. Half of the floor framing was removed in the chapel, which was structurally rebuilt. 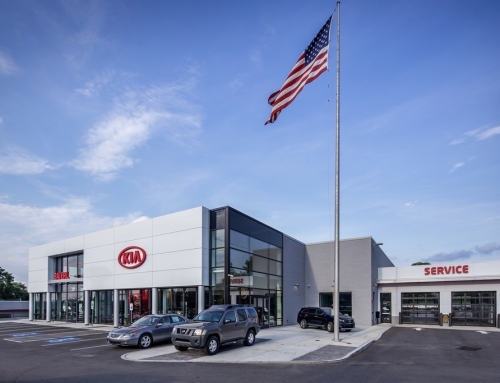 The improvements resulted in completely renovated, code-compliant buildings. 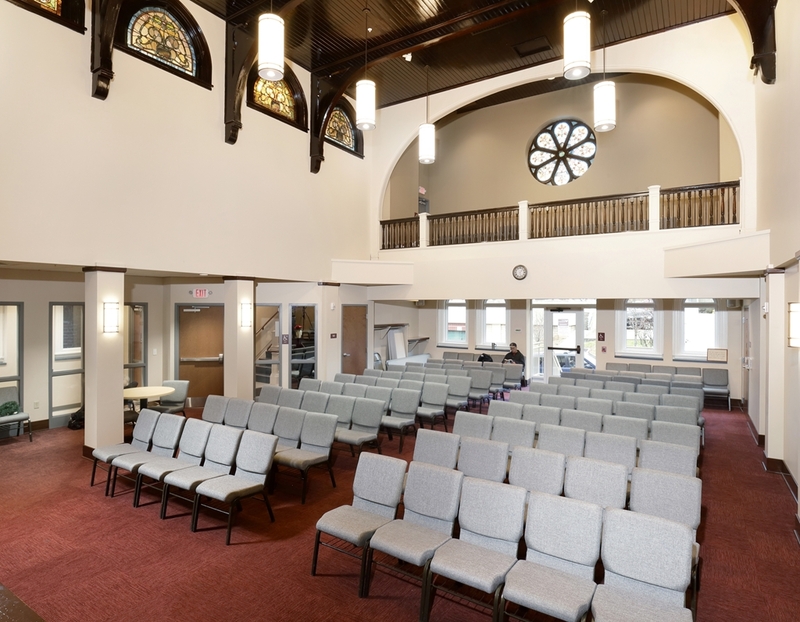 The chapel was restored to an enlarged, welcoming and functional space where men gather for Sunday services and various programs during the week. The salvaged stained-glass now provides beautiful light, color and inspiration. 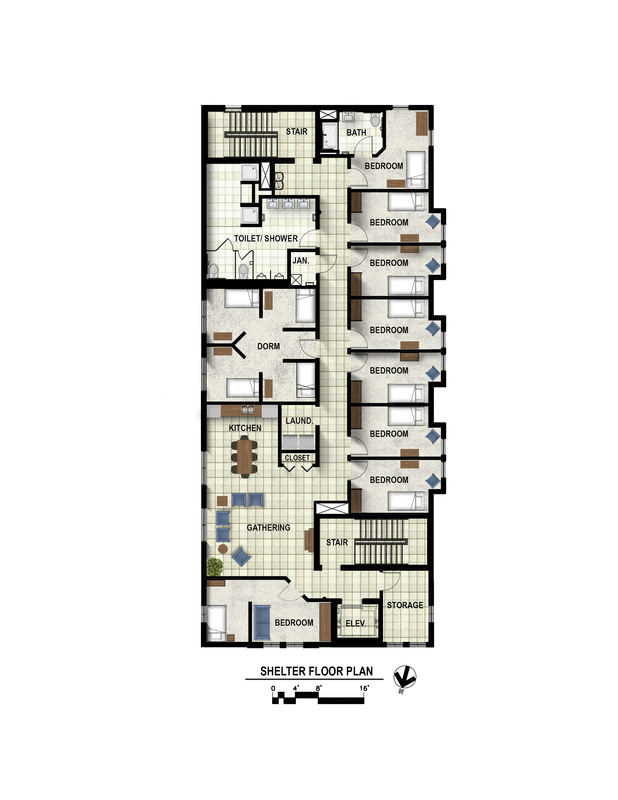 Later phases included design of a three-story Veterans’ Shelter and Clinic, as well as renovations to the Women and Children Residential Shelters that are located on the same campus.